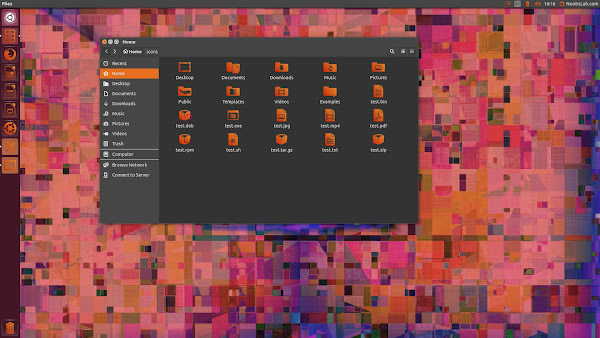 Clarity icon theme is vector icons theme designed to use with GTK. 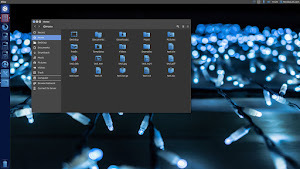 It can be used with most of the Linux desktop environments like Gnome, Unity, Xfce, KDE, Lxde, Mate, Cinnamon, and others. 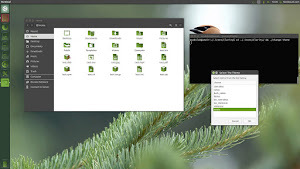 If you are using distribution other than Ubuntu and Linux Mint it also offers logos for some other distributions: Ubuntu, Xubuntu, Kubuntu, Debian, openSUSE, Fedora, Gentoo, Arch, Zenwalk, Mandriva and Linux Mint. 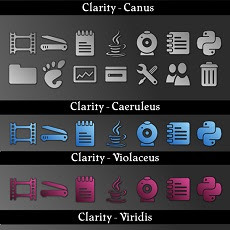 There are seven predefined themes: caeruleus - blue gradient, lux_caeruleus - glossy variant, canus - grey gradient(default), dark_canus - dark grey gradient (for light themes), luteus - orange gradient, violaceus - violet/pink gradient, lux_violaceus - glossy variant, viridis - green gradient. This icon theme also has the PPA but for some reason customization for this theme doesn't work using PPA installation, that's why we are going to use other method which can be used across all Linux distributions. 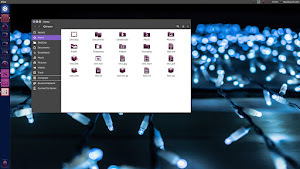 If you encounter any kind of bug or issue within this theme then report it to creator via linked page. You can use Unity Tweak Tool, Gnome-tweak-tool.